Posted on Tue, Jan 17, 2012 : 6:01 a.m. 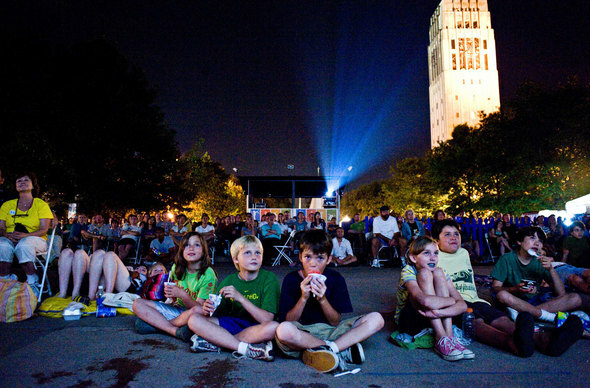 The Ann Arbor Summer Festival announces the return of Pick-a-Flick, an online promotion that lets the public choose the outdoor movies that will be shown as part of this year’s festival season, which runs June 15 through July 8. Now through March 1, the festival is asking the community to choose the titles that will be screened at Top of the Park this summer. Participants can select their favorites films within different genres, as well as write one in for the Wild Card choice. The ballot includes titles ranging from classics and cult favorites to more recent blockbusters. Vote as many times as you want, and encourage your friends to do the same. The winning line-up will be revealed later this spring when the full Top of the Park schedule is announced. As an added perk, voters can enter a sweepstakes to win a $100 gift certificate towards tickets to the 2012 Ann Arbor Summer Festival. Plus, five lucky runners-up will receive Top of the Park goodie bags full of coupons for free popcorn and other movie treats from the festival. Top of the Park is the free, outdoor component of the Ann Arbor Summer Festival, featuring live music, movies, socializing and food for sale. The festival also sponsors a variety of indoor ticketed events at the Power Center and elsewhere. To vote or to learn more about the Ann Arbor Summer Festival, visit www.A2SF.org. Mon, Jan 16, 2012 : 8:44 p.m. If it weren't for the young-uns there...both seasons of Walking Dead....you know, A2 needs it's Drive in theaters back! Mon, Jan 16, 2012 : 7:44 p.m.
Mon, Jan 16, 2012 : 7:25 p.m.